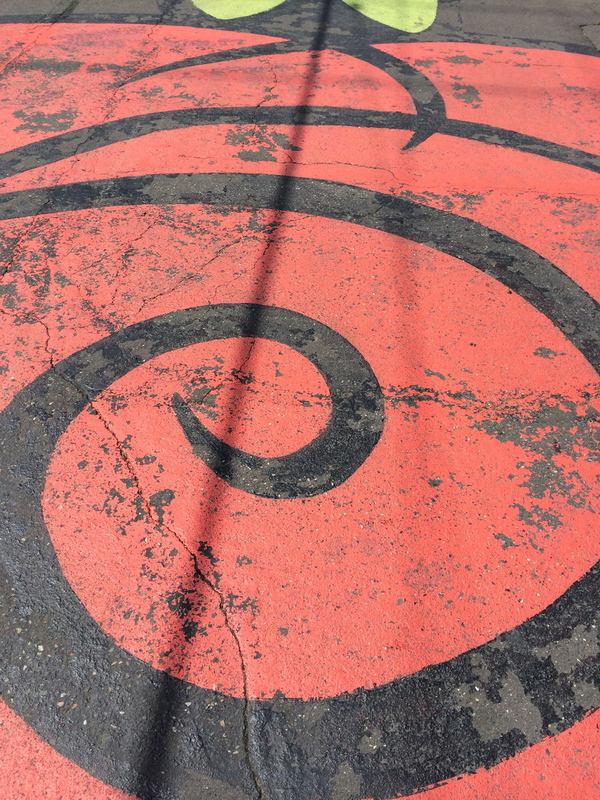 Spiral street art. Portland, OR. May 2014. Our progress is unmeasurable in a straight line. We progress in spirals. The path we walk has many curves. What if we embrace the curves? What if we experiment by getting lost? What would happen and what would we find?